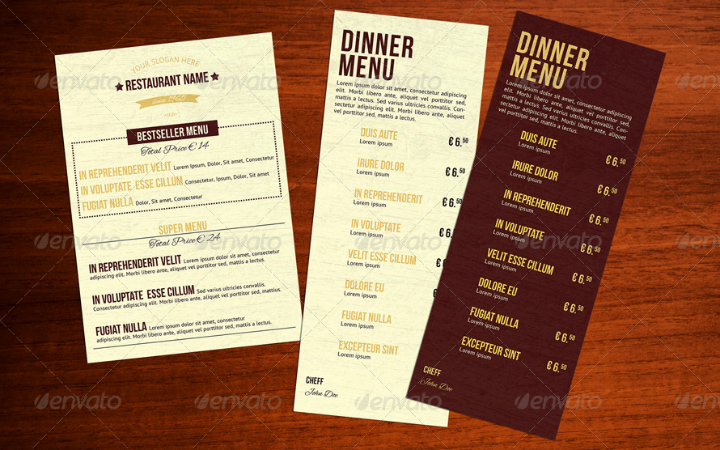 Creating dinner menu cards is something that is expected from any fine dining restaurant. But this is not always the case since dinner menu card designs may be used for various occasions like weddings and gala dinners. 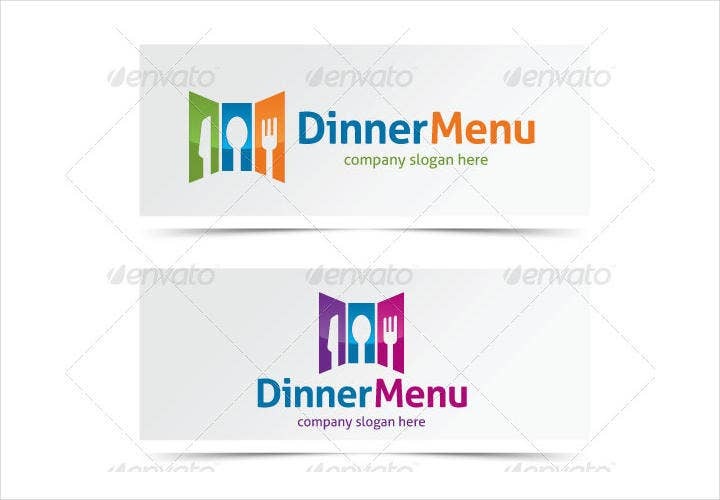 If you are looking to design your own dinner menu card, you have come to the right place on the World Wide Web. Fifteen sample dinner party menu designs are included in this article along with different tips for jazzing up your own dinner menu templates. 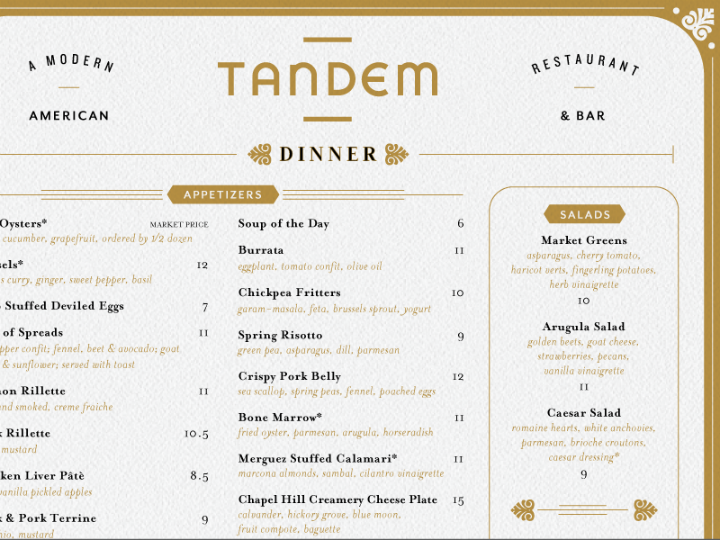 Who can use dinner menu design templates? 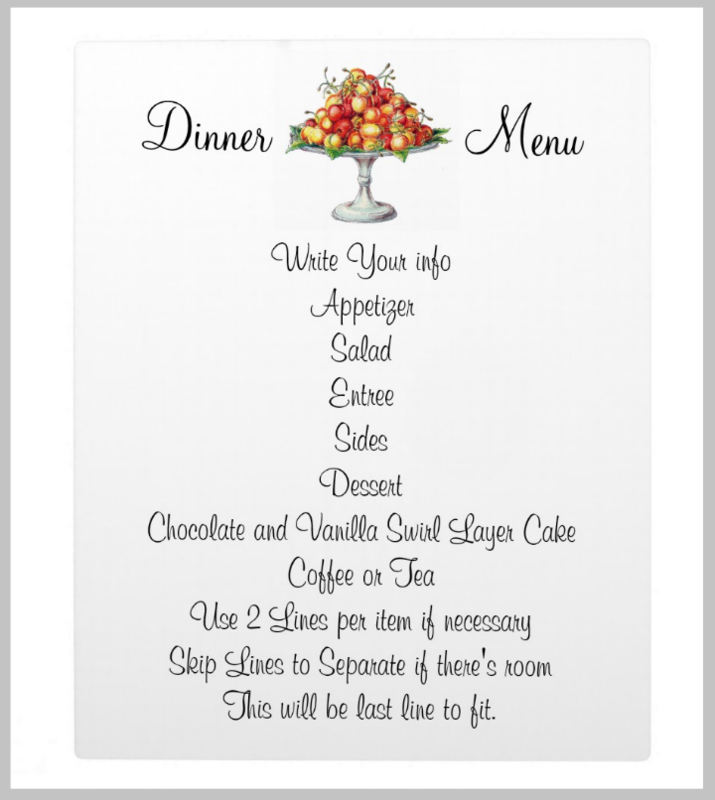 First of all, let us clear up the confusion regarding dinner menu card template use. 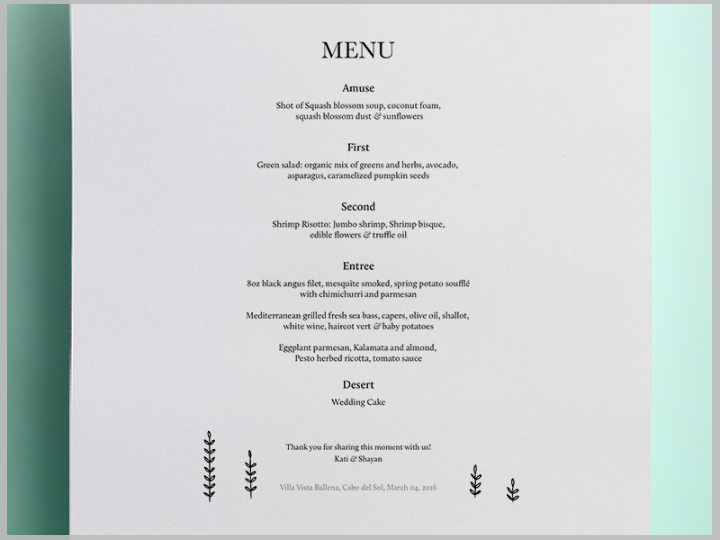 As mentioned earlier, sample dinner menu design templates may be used by different types of people for different events. A non-exhaustive list of who these might be are enumerated below. People who are in the restaurant business. Most types of businesses in the food service industry will provide a list from which their customers can choose a meal or food. Formal and casual dining restaurants will typically fall into this category since they are a sit-down type of restaurant and mostly cater to customers who expect full service from the wait staff. Using exclusive dinner menu cards can help distinguish these dining establishments from fast food chains and eateries. Homecoming party organizers. 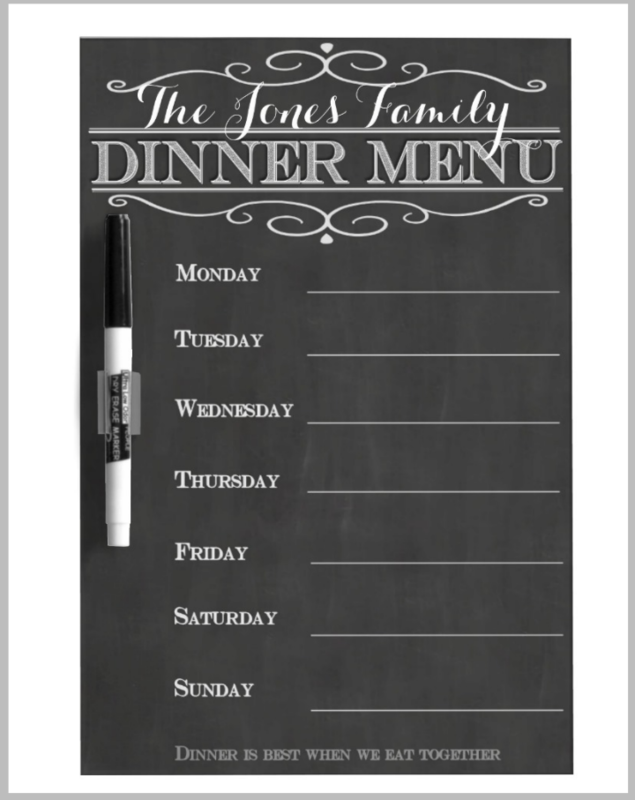 Aside from restaurants, dinner menu templates may also be used by homecoming party organizers. Themed homecoming parties are usually dinner events where attendees are sent dinner menu cards along with their dinner party invitations. If you are part of your school’s homecoming party committee, using dinner menu design templates can make the task easier. Other dinner party organizers. Other types of events like charity dinner galas, fundraisers, art gallery openings, movie or play premieres, award ceremonies, etc. may include dinner as part of the event. 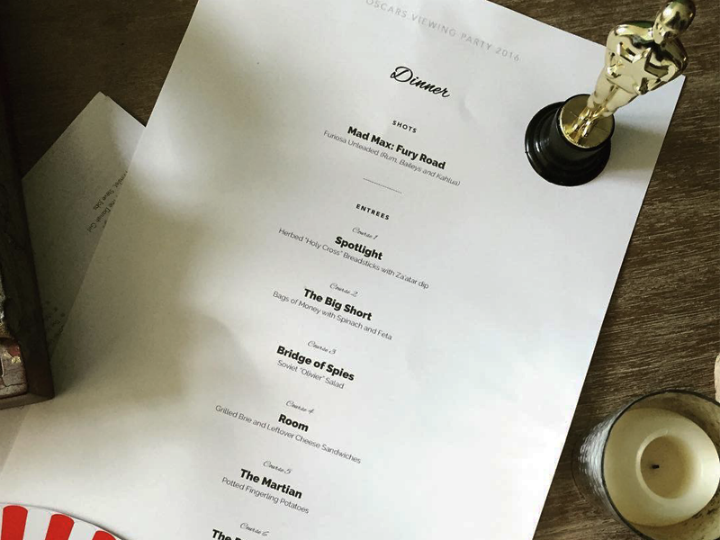 Dinner menu templates may be used by the organizers of these events to help coordinate the entire dining process. Some birthday party celebrations that go into dinnertime may also distribute dinner menu cards to the attendees as a way to indicate that dinner will be served during the party. Wedding planners or the brides themselves. Planning a wedding involves a lot of work. 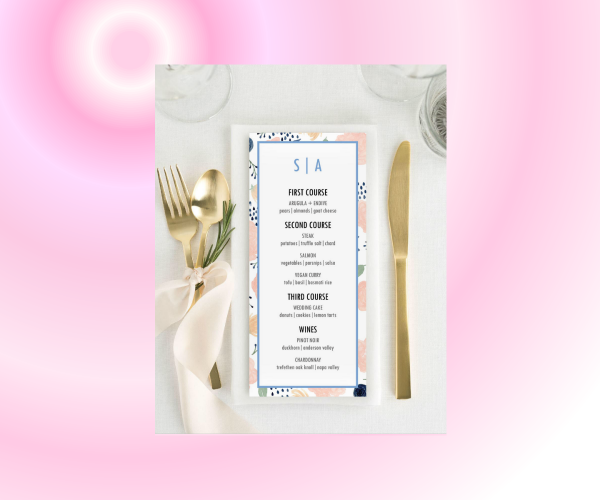 By using a dinner menu design template, wedding planners or the bride herself (if she is the one organizing the event) will greatly benefit from using a wedding menu card template. Most menu cards used for wedding dinners are already included in wedding layout templates so a wedding planner will not have to worry about selecting a menu card design that blends with a wedding’s main motif or theme. Even if a customer only gets to peruse a dinner menu for a few minutes, this aspect of a customer’s experience should be given utmost importance in order to help elevate the customer’s total dining experience. This especially applies when designing any type of menu card. Understanding how the psychology of good menu design works and applying this knowledge in creating standout menu design templates will undoubtedly help your restaurant business succeed. Below, we have listed different design and presentation tips that you can follow to help jazz up your dinner menu designs without making them appear too gaudy. Bind menu pages in a waterproof clear file or something fancier. An inexpensive way to preserve and make your dinner menu cards appear formal is by binding the menu pages in a waterproof clear file. Or if you have the funds, you may opt for hard binding all the pages just like a book. The latter approach will work well if the menu pages were printed on booklet quality paper or card stock. Use elegant specialty paper or card stock. 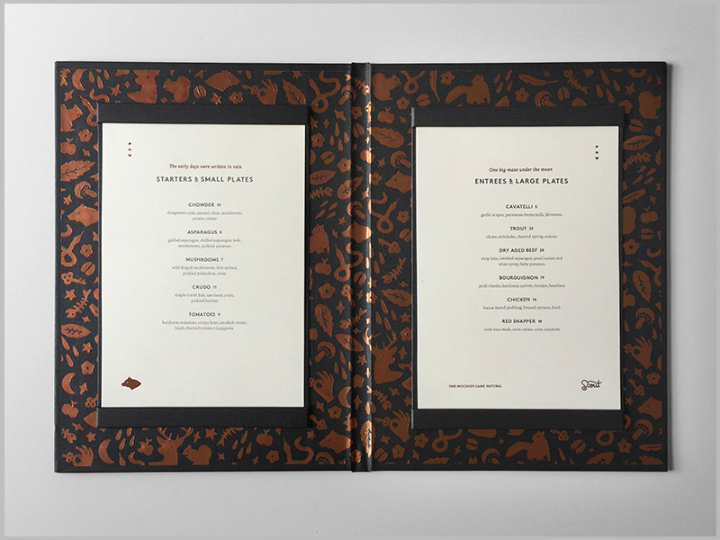 As mentioned above, printable menu templates printed on specialty paper helps give a dinner menu card a distinctive look. Some premium papers may have embossed patterns, special textures, and even a fragrant scent that will all help your menu card stand out. Make sure all menu cards are cut in the same way. A minor aspect in menu card design that you should pay attention to is how a printed menu card is cut out. Some food menu templates will include print bleeds to make sure that your menu card retains all the necessary information on the print material. If a bleed is present, you may need to cut these bleed edges before using the menu cards. In addition, if you are printing your menu cards at a print shop, the shop personnel may already cut out the bleeds so you will not have to do this yourself. Use glitter. Most formal dinner events require attendees to follow a dress code—usually black tie where attendees mostly wear couture dresses and high fashion tuxedos. In dinner events like this, you should use dinner menu cards that are equally elegant and striking. Often, the best way to incorporate shine and dazzle into paper is by adding glitter. 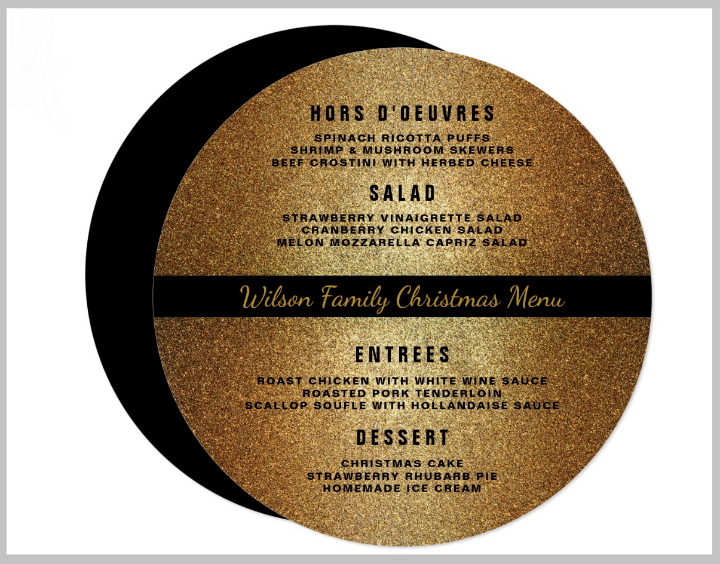 You can print your dinner menu cards on card stock that has been treated with glitter or other sparkly materials. Personalize the menu cards by adding a stamp or embossing mark. Rubber-stamping and embossing is often a trend associated with scrapbooking and creating artistic card designs. But if you want to add a visible touch of your personality into your dinner menu design, why not rubber stamp your company logo or your family crest on it? Restaurants may take this approach as a way to differentiate their dinner menu design from other restaurant’s dinner menu cards. Sign the menu card with the couple’s signatures if the menu card is used for a wedding reception party. Wedding menu cards may serve as a souvenir for your wedding guests. To make it more personalized, the newly wedded couple may even affix their signatures on the card. This strategy may also be applied to other celebrations that included a sit-down dinner event. Incorporate handcrafted design elements. Another way to make dinner menu cards stand out is by combining handmade design elements into the menu card design itself. This type of menu card will work especially well for restaurants offering exotic dishes. 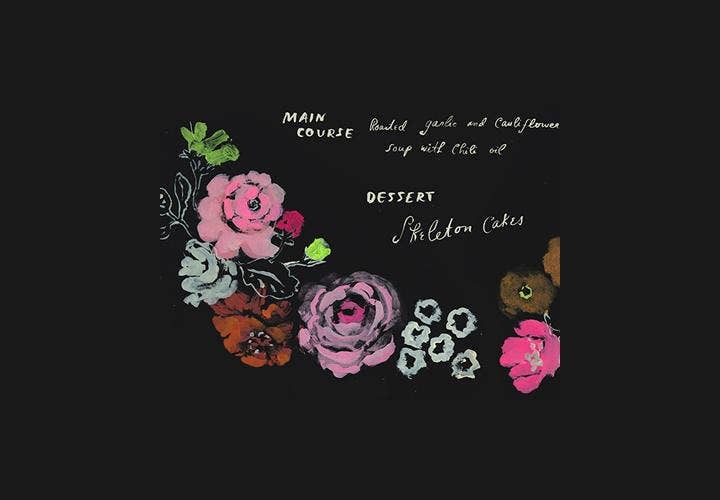 For those who are thinking of opening a food bistro that mainly offers fusion cuisine, you may begin looking for dinner menu ideas from these handmade card designs. Examples of handcrafted design elements that anyone can add to a dinner menu design are folded paper patterns, wooden textures, and even dried leaves. Just remember that when creating handmade dinner menu card designs, the final menu card should still be clean and fit to be used in a dining establishment. Regularly update the menu design. A dinner menu card should always reflect the latest list of food and meals that a restaurant offers. Outdated lists often lead to confusion and decrease customer satisfaction. By saving an editable copy of the menu card, you can frequently return to it to make changes or revisions based on the season and your restaurant’s meal plans. Being able to make changes on the menu items on a whim also allows you to make changes on the menu card’s overall design. To illustrate, you may create a salad bar menu template design for the summer months. However, most salad ingredients will be out of season when winter comes so you may have to create an alternative menu design and meal offerings for your customers that will best fit the current season. Doing this lets your customers know that you are in touch with their dining needs or preferences and that you are able to come up with a better solution when their previous needs were not met. 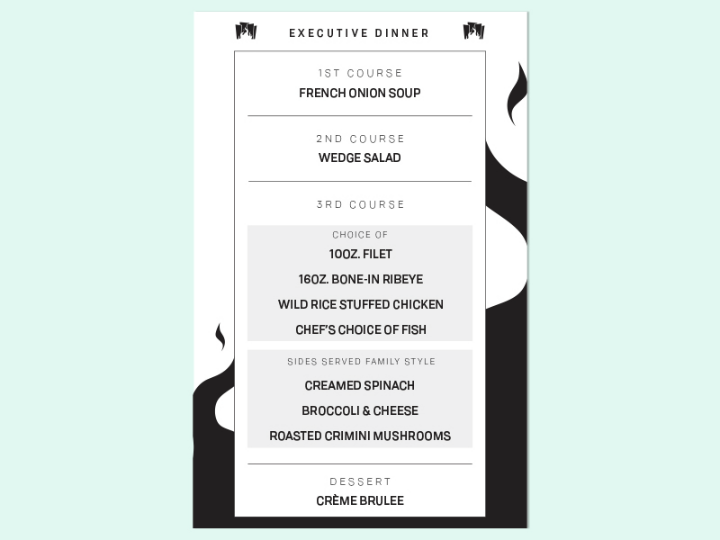 Now that you have read about tips to spice up any dinner menu design and looked at the different dinner menu card examples in this list, you may now begin brainstorming ideas for your own dinner menu design. Remember that whether you are creating vintage menu designs or sample catering menu designs, that no matter how boring or monotonous the task can become, you should always enjoy yourself. Only by doing this will you feel a sense of fulfillment. If you have learned something from this article, do not hesitate to share, email, or tweet it to your friends and colleagues.